Nearly 100 hot air balloons paint the Iowa sky with brilliant colors and playful Special Shapes! 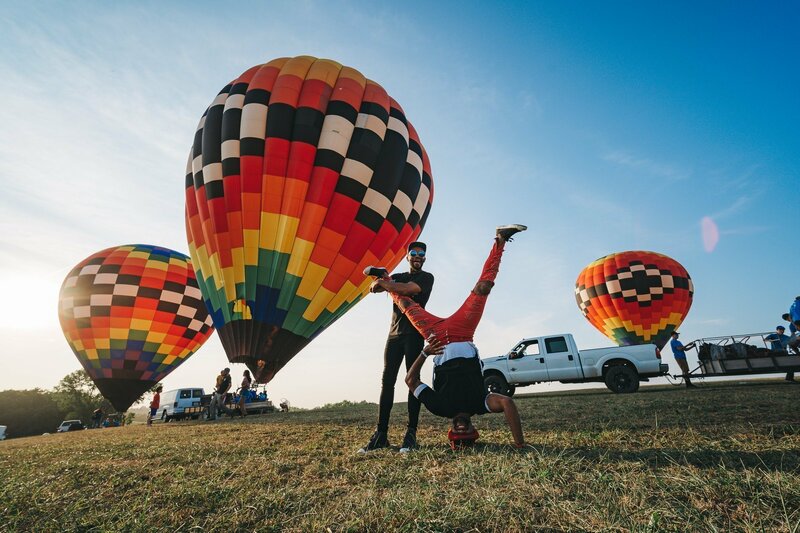 Cheer on skilled pilots as they compete for points and prizes, sit back and enjoy live music nightly, buy a balloon ride for a one-of-a-kind view, and prepare to be awestruck as dark skies come alive with a mystical glow during Dawn Patrol and Nite Glows. Kids Land, fireworks, fabulous food…experience all of this and so much more at the 2018 National Balloon Classic! B2wins perform 6:00-8:30pm on Wednesday July 31st. Us at the 2018 Classic!